SKT themes provides a wide range of responsive and clean best WordPress themes suitable for all your needs. Comes with easy to use option framework to modify as you want. 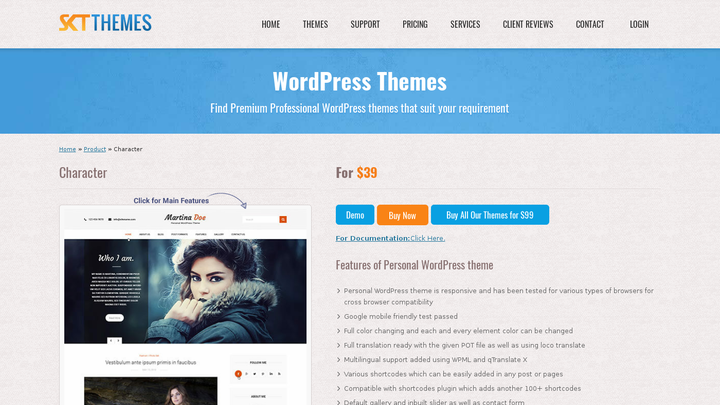 These themes are compatible with various plugins like Nextgen gallery, Contact form 7 etc. Also comes with WooCommerce to start your online store. All out themes are SEO and SMO ready. 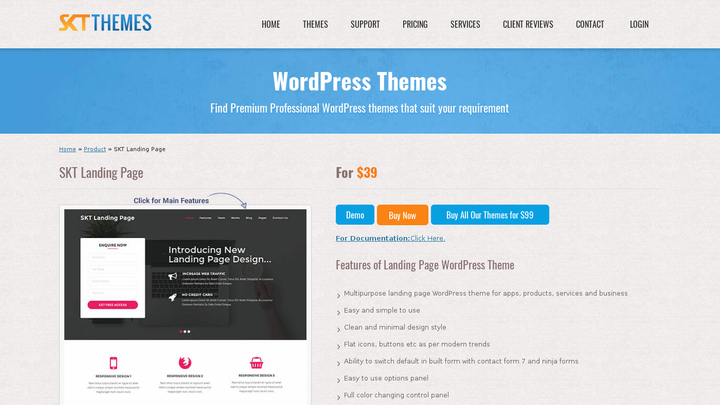 You can use these themes for various purposes like business, corporate, personal, blog etc. So lets take a look at our best WordPress themes to build your website today.